There are some awesome Network Attached Storage (NAS) solutions out there that can be bought, set up and used within an hour. The downside to these devices is the cost, which can be upwards of $1,000 depending on what you need from connected storage. Luckily, if you haven't quite got enough cash to spare, or wish to build one yourself, it's easy to do with a Raspberry Pi. Download OMV for Raspberry Pi onto a PC. Create a bootable USB drive with the ISO image. Connect the external hard drives to the Raspberry Pi. Plug the drive into the Raspberry Pi and switch it on. Select Install from the menu. Carefully follow the install wizard (each step is well explained in the wizard). After updates have been installed, the server will reboot. Wait for OMV to finish booting. The password is what you set during install. Run the command ifconfig to view the set IP address. Access the web interface by using the IP address in a browser on a PC. Activate various protocols, including SSH, SMB, FTP. 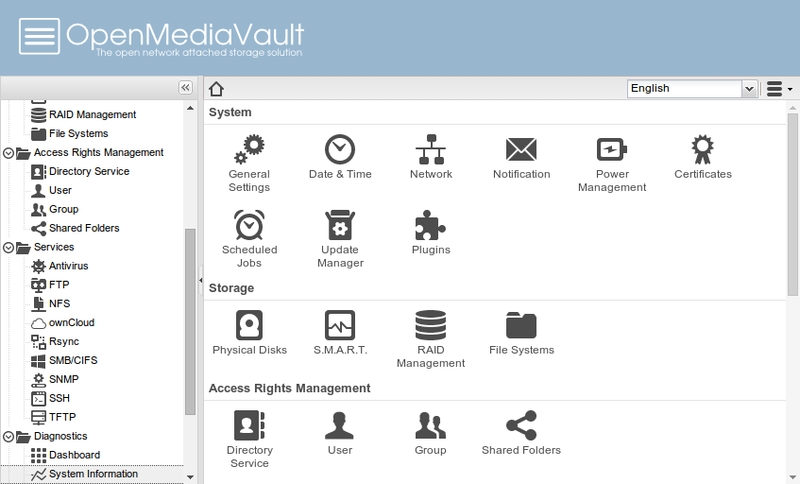 Create file systems for each drive or partition you wish to use. Add users for friends and family. Install plug-ins (like the excellent Plex Media Server). There's no true "best" option for everyone when it comes to a NAS. There are many factors to consider, including price, storage capacity, features, noise, and power consumption. Solutions by Synology and other companies are sound choices if you wish to simply plug and play but they come with a few limitations. A Raspberry Pi is vastly more affordable, allows you to finetune how it's all set up, is ideal for those who wish to not rely on third-party support, and lets you master a NAS OS. But there are some downsides. The Ethernet port is rather slow on older models, though the latest 3 Model B+ sports Gigabit and can, therefore, match pricier NAS units. There's also the lack of space within enclosures. When you install the small PC into a case, you don't have any space for a hard-disk drive (HDD), which means you'll need an external enclosure. Finally, there's a steeper learning curve. You'll need a Raspberry Pi at the very least. The other equipment featured here is optional but we highly recommend it. This Raspberry Pi kit has everything you need, including a power supply, the board itself, starter guide, and heatsinks for the chips. For this guide to work, you need a Raspberry Pi and while it's easy to buy one on its own, you'd then need to purchase some heatsinks and a power supply. Picking up the CanaKit package ensures you've got all the internals sorted and a means to power the unit. You need a case to keep the Raspberry Pi secure and safe from damage. This clear case is a perfect example that would support the unit itself and allow you to connect everything. 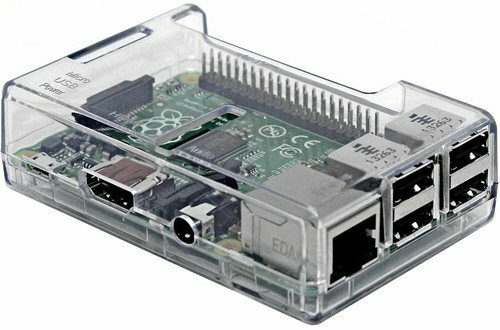 The case is made of ABS and snaps around the Raspberry Pi, providing great levels of protection while leaving ports open for enhanced accessibility. The case even comes with two more heatsinks, just in case there's an issue with the two supplied with the Raspberry Pi kit. 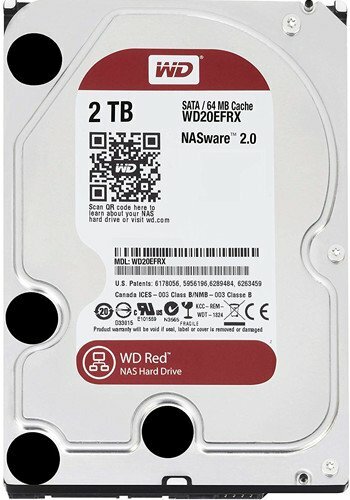 Western Digital's (WD) Red family of hard drives are manufactured for NAS use and can be deployed in systems that support up to eight bays. Backed by a 3-year limited warranty and a powerful brand in the storage market, WD drives are well known to be of top quality, and they last a long time.